We are engaged in providing professional export marketing services for the renowned Indian manufacturers of precision glow plug. These plugs are highly durable and exhibit excellent performance. Our product is extensively used for different automobiles. To develop a system to test Glow Duration Units (GDU) and Glow plugs. To provide a faster and accurate analysis of the functional and safety features of the unit under actual working conditions. We undertake bulk orders of Glow sticks. We offer to sell wide range of diesel engine ISUZU glow plugs which includes single coil glow plugs, dual coil glow plugs in very competitive price. - Customization: Deliver customized products. 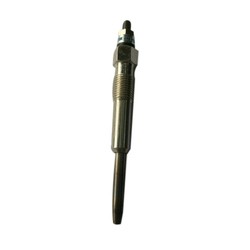 We are engaged in delivering a comprehensive range of Glow Plug. Our offered range is available in different specifications that meet on patron’s demand.